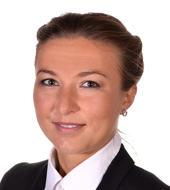 Katarzyna Mika is a dynamic, highly analytical Scientific Consultant for leadership development. She gained her unique broad experience having worked in multifarious environments – among leadership teams, individuals, public media leaders, academic students, clinical patients, professional sportsmen. The current business world – facing a permanent need of breaking through individual and organizational resistances – requires a more scientific approach to embed the change. The neuroscience of 21st century possesses evidence-based data of cognitive and emotional processes of personal and team development. Mika, being specialized in the brain (mind) processes that align with transformational tools of behavioral and cultural change, is able to transfer newest scientific reports into practice and apply them into diverse business units, increasing the awareness and openness to learning and team-building. At Bright Side, Mika delivers the scientific foundation for interpersonal skills, for personal and team leader-development processes which correlate with business outcomes. Katarzyna Mika has built her business experience while collaborating with Polish and international companies on establishing best transformational tools according to business and individual outcomes. She formed her scientific theses based on business behavioral and cultural data that were collected to design the best circumstances for leadership development. Mika obtained her master’s degree in Psychology at Jagiellonian University in Poland and during the scholarship in Rome. Meantime she received business contracts and achieved high results in providing transformational processes. To continue her scientific development and for further exploration of the mechanisms of human psyche Katarzyna Mika started doctoral studies on cognitive and emotional brain processes in behavioral, cultural and self-image change-processes. Her education embraces also the languages skills in English, Polish, Italian and fair German. In her work she observes client’s strengths, barriers and resistances. Then she creates the optimal environment for clients to transform the limitations into behavioral accelerating results, based on neuroscientific evidences.